Meet the pair of Maxwell cards from Gigabyte. 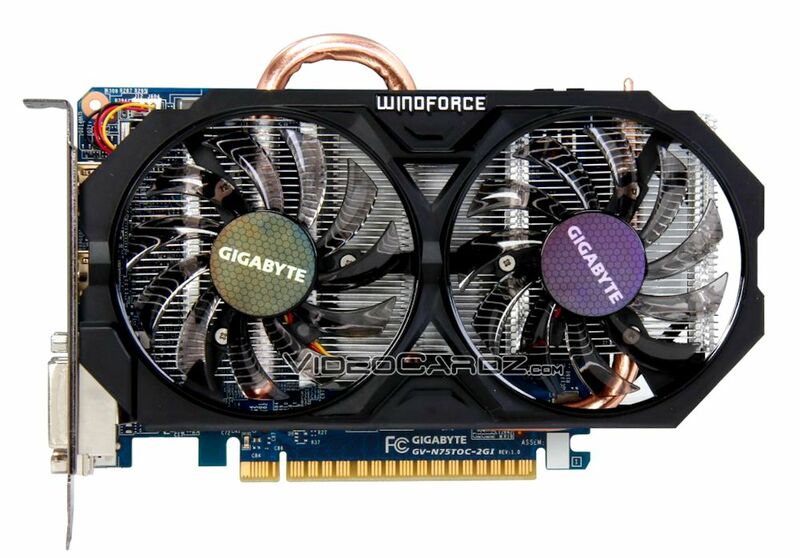 Gigabyte GTX 750 Ti OC (GV-N75TOC-2GI) has a WindForce 2X cooling mechanism known from previous GeForce GTX 650 Ti/660 products. The cooling solution is made of one heat pipe, aluminum fin array and two fans. The cooler itself is around 3 cm wider than the PCB itself. As you can see it does not have any SLI connectors, just like it’s predecessor (650 Ti). 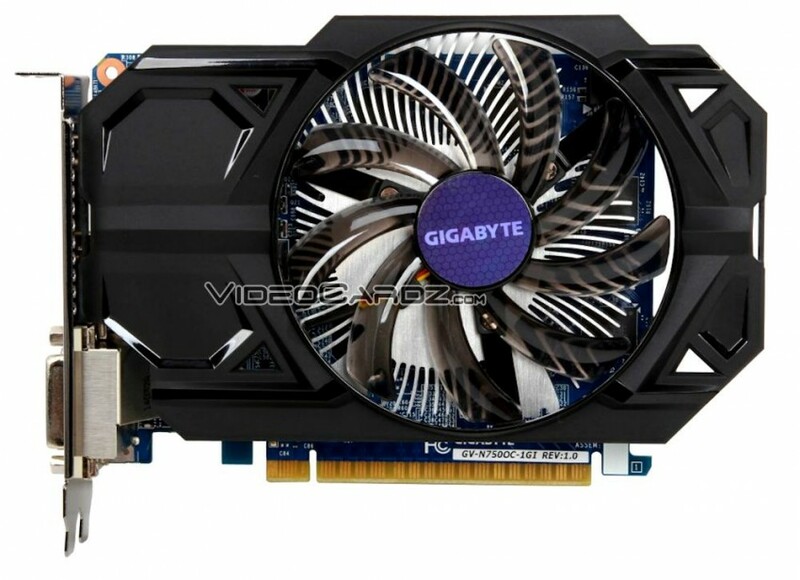 The GTX 750 Ti from Gigabyte runs at 1059 MHz, which is a base clock. The boost clock has not yet been revealed. 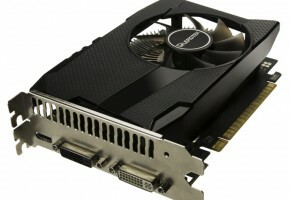 What we do know for sure however, is that the card is equipped with 2GB GDDR5 memory across 128-bit interface. Thus the effective speed is 5400 MHz and the bandwidth is 86,4 GB/s. 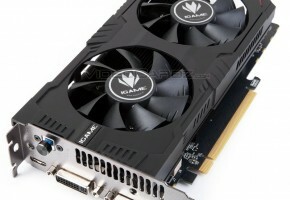 The 750 Ti will pack 640 CUDA cores and it does require one 6-pin power connector to be plugged in (although it should run without it). 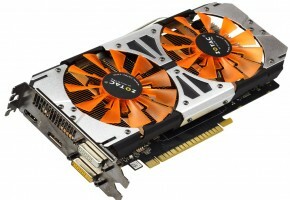 Gigabyte GTX 750 OC (GV-N750OC-1GI) is a 512 CUDA cores Maxwell graphics card. Some GTX 750 models are not equipped with power connectors, but since we are looking at factory-overclocked model, it does have one 6-pin power plug. The difference between GM107-400 and GM107-300 lays in the number of CUDAs and TMUs. 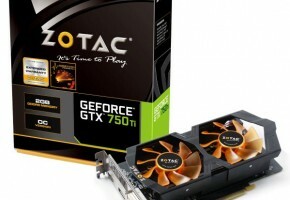 The difference between GTX 750 Ti and GTX 750 is also in memory size. 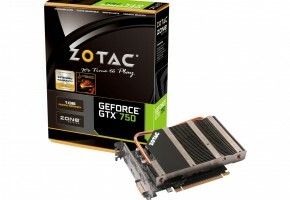 The GTX 750 has only 1GB by default. The rest is pretty much the same, although the clocks are slightly different — all GTX 750s have 400 MHz slower memory (5 GHz).